This is the end of Blue Girth siding, with the spur to the brewery to the right. This is the beginning of the Burnsville section. 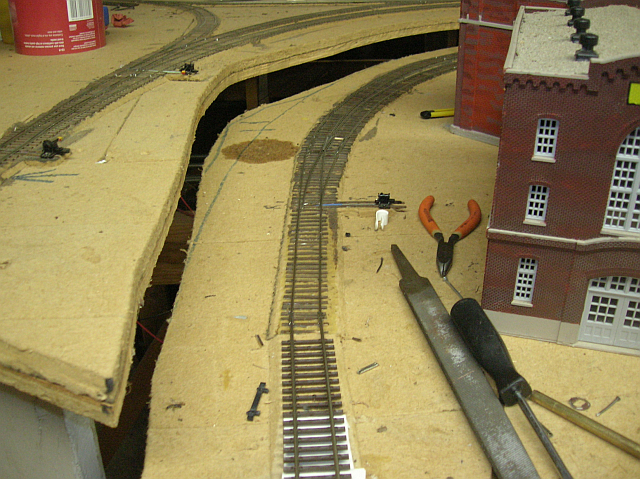 The track has come across my gateway into the layout. There are two tracks on the Gateway. This is the overall view of Burnsville, with Burnsville Junction at the far end. 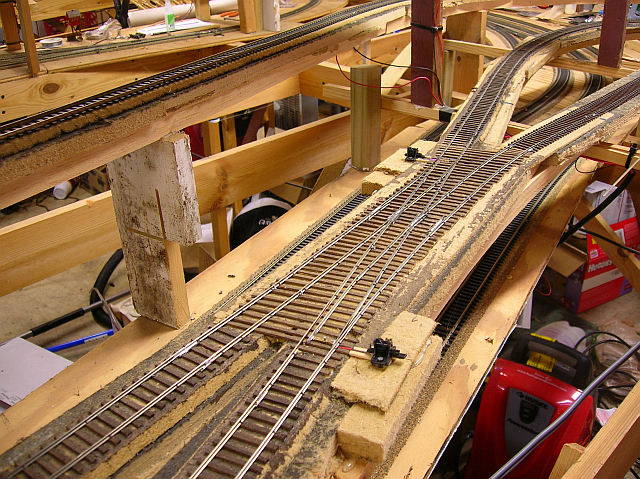 This is the junction, the tracks to the right goes to the staging yards via Fulton, and the track coming off the switch to the left, is the start of the Jones Sub. 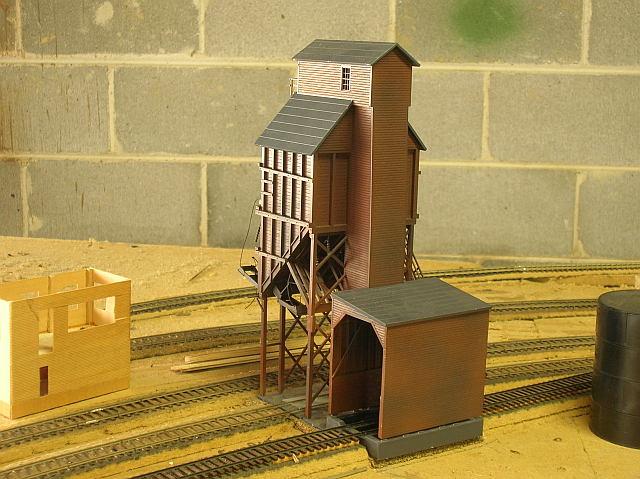 This WAS the coaling tower for the junction. My wife accidentally knocked it to the floor. Its in a million pieces, and unrepairable. I made her get me a new one! This will be the small community of Fulton. Here will be a barge dump for coal. There is also a small team track here. 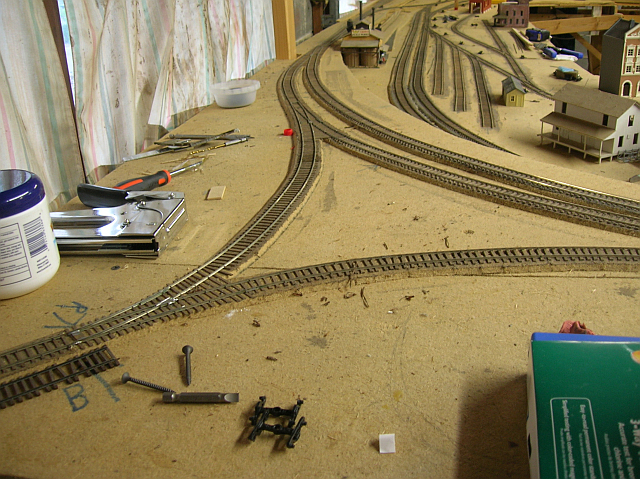 The mains toward the back go into staging, while the track on the far left is a bypass track for continuous running. It may be removed. This is Fremont. The local switcher in Burnsville will turn here to return to Burnsville. 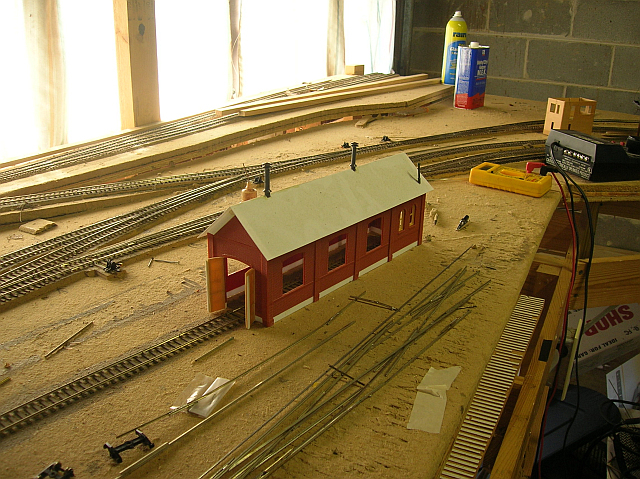 This is the Gateway into the layout. 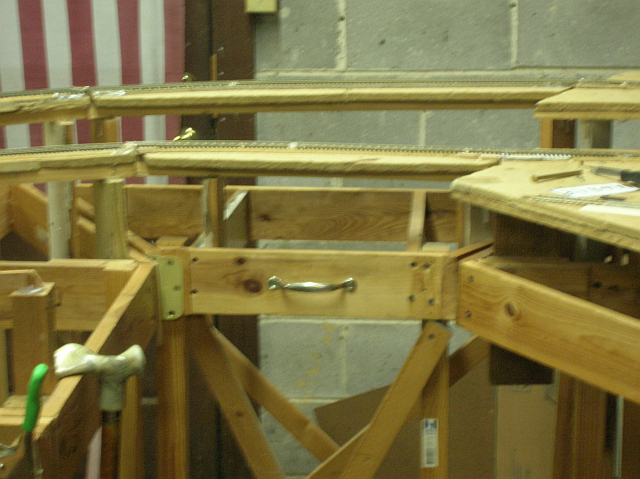 It swings out on casters. The gate is locked in place by a door hinge with a door pin. The lower line is the main into Burnsville. 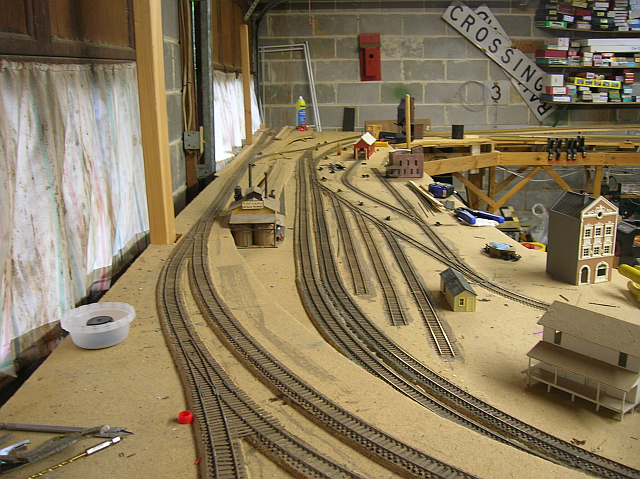 The upper track is the branchline to Jones. This is the temporary end of the pictures.